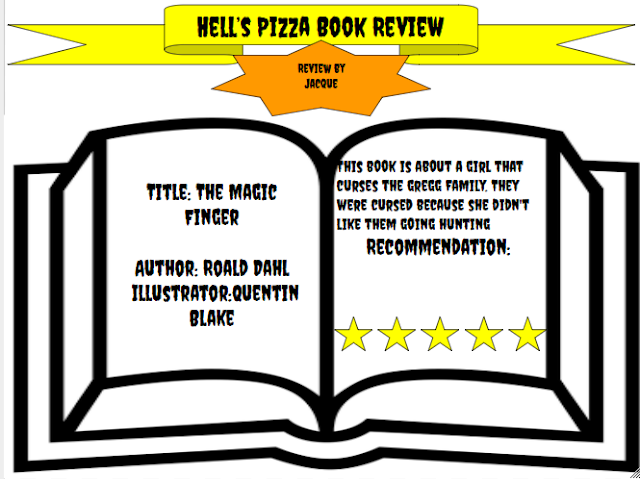 This is a post about my book The Magic Finger. Kia Ora my name is Jacque, I am 12 years old and a Year 8 at Kawakawa Primary School. I’m in the Room 5 with my beautiful teacher Whaea Dana and Whaea Jess is my other beautiful teacher. My favourite subject is writing because I get to explore my writing ability. My hobbies are Netball and Swimming. My one main goal this year is to become a role model that people at my school will hopefully remember. I learn by having examples written for us so I know some ways we can do our work. Things that makes learning hard for me is working in groups cause we all have different ideas and sometimes you can never put them together and get one. The Whisper of Wilderwood Hall.